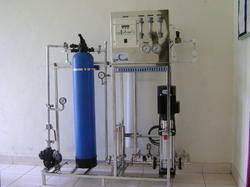 Reverse osmosis - RO plant system. In order to cater to the ever-changing requirements of our esteemed clients, we are involved in presenting a wide assortment of Remote Monitored RO Systems in the market. 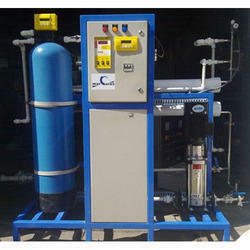 The offered systems are designed as per the industry standards. Acknowledged for their high strength and excellent damage resistance, these systems are highly demanded by the customers. Customers are reasonably charged for these systems. Plant operators are not well versed with the technical aspects of the RO plant and cannot interpret instrument values such as flow, pressure, conductivity and pH. A site complaint is received only when the flow reduces drastically (or) the plant completely breaks down. Site Operators do not backwash sand/carbon filters timely nor do they change cartridges when required. Site Operators may throttle the reject control valve too much to get better permeate flow. Log books are rarely maintained at site. Service calls are always an emergency. The cost of providing the service has to borne by the supplier providing the service or any material consumed. CROWN is a software application, provides central supervisory ‘control and monitoring’ of water treatment equipment. CROWN communicates to LCU on the site for control operations. Instantly start Backwash/Regeneration Cycles of Remote Sites. Change service/backwash timings as per requirement. Provides history of plant operational status, commands issued for a selected site. Option to export status information to excel sheets. 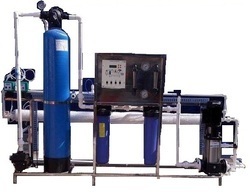 RO or Reverse Osmosis System follows the principle of impurities separation by a semi-permeable membrane. The Dissolved Solids are trapped in the membrane therby filtering the the water free from dissolved solids. This filter water is fit for drinking, industrial use etc. 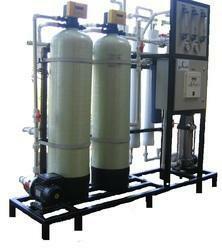 Looking for RO Plant System ?